Dermaplaning can be performed on small, precise areas of the skin or can be applied to larger regions, including the entire face. Dermaplaning can also be performed in addition to other skin treatments, such as chemical peels or cortisone injections. This treatment also encourages the growth of new, healthy skin cells and can have a positive impact on the skin cell lifecycle. Dermaplaning is a highly effective way to resurface the skin and is a highly effective method for leveling out uneven surfaces on the face. Dermaplaning is gentle and does not break the capillaries on the face, which more agressive exfoliators may do. This prevents skin discoloration or scarring. Since dermaplaning does not involve the application of chemicals it is a great alternative for individuals who have sensitive skin and cannot undergo chemical peels or other chemically based treatments. 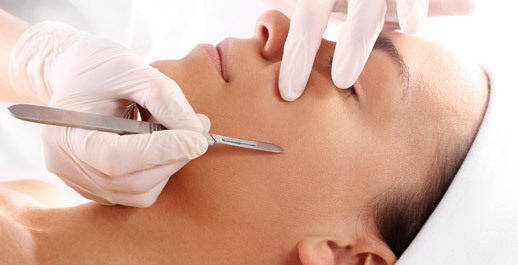 Dermaplaning is a non-surgical procedure and requires no recovery time nor does it produce any visible side effects. Dermaplaning treatments are available at Northwest Aesthetics Bellevue and Kent, WA locations.